Benjamin Moore Maui is brought to you by Da Kine Paints, the only independent retailer that carries Benjamin Moore paint products on the island. Our maui paint store features Benjamin Moore’s patented Color Lock technology, eco-friendly and LEED-certified paints, extraordinary durability, and wide range of unique, designer colors that outlast and outperform the competition. Benjamin Moore Maui also now offers Our Green Promise! When you see the Green Promise logo, you can be sure you are working with an eco-conscious and environmentally-friendly paint with minimal odor and low or zero-VOCs. Benjamin Moore’s proprietary resins and Gennex zero-VOC waterborne colorants fortify the paint, allowing it to maintain its original viscosity and delivering an incredibly tough finish that can withstand weather and maintenance better than the competition. Offering quality paint products and exceptional service in a friendly, customer-centric environment is our mission at Da Kine paints. When you visit our maui paint store, you will be assisted quickly by our knowledgeable staff, shown the perfect products for your project, and leave the store prepared to get the job done right – the first time. At Da Kine paints, we pride ourselves on offering the best paint at competitive prices. Committed to delivering the highest degree of customer satisfaction among local contractors and DIY customers alike, we continually strive to keep our prices competitive, but never sacrifice quality or service to cut costs. Make us your local maui paint store and you’ll find out why our reputation outshines that of the big-box and corporate-run stores like Sherwin-Williams and PPG. 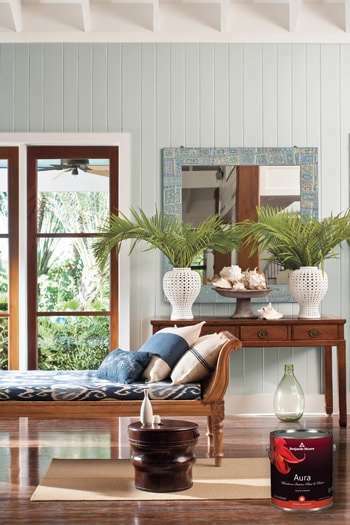 Ready to learn more about the products featured in our Maui paint store? Read on about some of our signature Benjamin Moore products now. 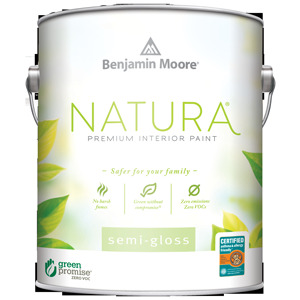 Natura from Benjamin Moore is certified asthma & allergy friendly™ by the Asthma & Allergy Foundation of America. Perfect for projects with environmentally-sensitive requirements, it dries quickly and with zero-odor. Choose Natura and you can be confident you are choosing the best eco-friendly paint for your home, school, or office. Benjamin Moore’s Arborcoat exterior stains are beautiful, durable, and designed to last, even in the most demanding outdoor weather conditions. Arborcoat is proven to outlast the competition, as demonstrated by a third-party testing facility that simulated extreme weather conditions to show Arborcoat paint can survive any pressure test. Aura Interior Paint gives any project discernibly richer, truer color. All Aura paints feature Benjamin Moore’s Color Lock technology, which allows the paint to cover surfaces more completely and dry more quickly for an exceptionally durable, noticeably smooth finish. Get a coupon for our Kahului, Maui paint store! Enter your email now and we’ll send you a discount for your next in-store purchase. Isl-X offers high-quality, specialty, and problem-solving primers, coatings, and paints. Featuring everything from multi-purpose, stain-blocking, bonding primers and sealers to traffic, athletic and other specialty coatings, interior and exterior floor and masonry coatings and specialty pool paints, Isl-x has the solution. Whether you’re remodeling your kitchen, sprucing up your garage floor, or maximizing adhesion, Insl-X has the solution for any problem. Benjamin Moore Corotech High-Performance Coatings offer an extensive range of superior products to address all industrial and commercial coating needs. With waterborne primers and block fillers, equipment enamels and epoxies, high-performance urethanes, solvents and reducers, Corotech can bring any major construction project to life. Lenmar offers advanced, expert coatings and finishes for any type of wood to protect, beautify, and treat. From polyeurethanes, laquers, and sealers to catalyzed conversion varnish systems, vinyl sealers, undercoaters cellulose acryclic butyrate (CAB) systems, solvents, additives and stains, the Lenmar line of products is backed by years of experience and research. When you need to treat your wood with the utmost care, Lenmar is the answer.